Why haven't you been to the dentist in a while? You don’t have dental insurance, you had a bad experience, you don't have any pain, you don't have time, and a million other reasons. You're not alone, it's estimated that 20 percent of adults haven't been to the dentist at all in the past few years. No matter how long it's been since you've been to the dentist, now is a good time to start going. Start by finding a board-certified dentist near you in High Point, NC with hours that fit your schedule. DentalWorks - High Point accepts new patients and our experienced team offers compassionate care for patients of all ages no matter how long it's been since you visited the dentist. One of the most common reasons people stop going to the dentist is because of fear or anxiety. Whether this is caused by a bad experience or another reason, our team can help you overcome your dental fears. At DentalWorks - High Point, we offer multiple sedation dentistry techniques to help keep you calm during both routine visits and treatments. For dental fears and anxiety, we typically offer nitrous oxide (commonly known as laughing gas) or oral-conscious medication (a prescription for a sedative, like Valium, that is taken before your appointment). Before you sit in a treatment chair, your dentist will meet with you to determine if you are a good candidate for sedation dentistry. In addition to determining if you need sedation, your dentist will determine if you can safely receive one of these methods. Your dentist will ask about your medical history, known allergies, and what medications you are currently taking. This information will help them to decide which method to recommend. Before you leave, your dentist will let you know what to expect before, during, and after your sedation is administered, including whether you can drive or if you need to arrange for a ride home. Your visit to the dentist in High Point, NC will probably consist of three main parts — a dental exam, a professional cleaning, and your custom action plan. A dental exam is typically performed at least once a year. During the exam, your dentist will look at the health of your teeth, gums, and jaws. Digital x-rays give your dentist a better view of your mouth. Most of the time, digital x-rays will be taken of your teeth to show your dentist areas of existing and developing cavities. Digital x-rays can be taken in a few minutes with a small sensor placed between your upper and lower teeth. Your dentist may recommend a whole mouth series to check the health of your gums and jawbone every few years. This also only takes a few minutes as you are asked to stand still and the camera rotates around you. One of the most important pieces of a dental exam is checking for oral cancer. People who use tobacco products or have HPV (human papilloma virus) are at higher risk for developing oral cancer, but everyone should be checked. During your oral cancer screening, your dentist will check your tongue and the soft tissue in your mouth for abnormalities. Then, they will feel your jaw and throat for any lumps. While this typically only takes a few minutes, early detection of oral cancer is critical. During your dental exam, your dentist will assess the health of your gums and check for signs of gum disease. Your dentist will measure the depth of your gum pockets, look at the color of your gums, and see if you have any inflammation. Tell your dentist if you have any soreness in your gums or if they bleed easily when you brush and floss. While you are hopefully brushing and flossing your teeth twice a day at home, you can still benefit from a professional cleaning to remove buildup and stains. If you haven't been to the dentist for a while, you may have a significant amount of plaque and tartar buildup on your enamel. Your dental team will carefully scrape away these deposits using special tools. Proper brushing and flossing at home as well as frequent visits at the dentist will make this process shorter. Once your enamel is free from excess buildup, your hygienist can polish your enamel. This helps to remove stains that make your smile dull. Talk to your hygienist if you prefer to have small areas treated at a time with breaks in between. Highly recommend for younger patients with developing teeth and adults at high risk for cavities, you may consider getting a fluoride treatment after your cleaning. A professional fluoride treatment strengthens your enamel, which can help prevent cavities, decay, and other dental problems. After your dental exam and cleaning are complete, your dentist can talk to you about what happens next. If you don't have any problems, they might discuss proactive measures. If you do have a dental problem, your dentist will review your treatment options. To keep your mouth healthy, your team can demonstrate proper techniques for brushing and flossing, help you develop a good home oral care routine, recommend products that fit your specific needs and concerns, and schedule your next appointment. 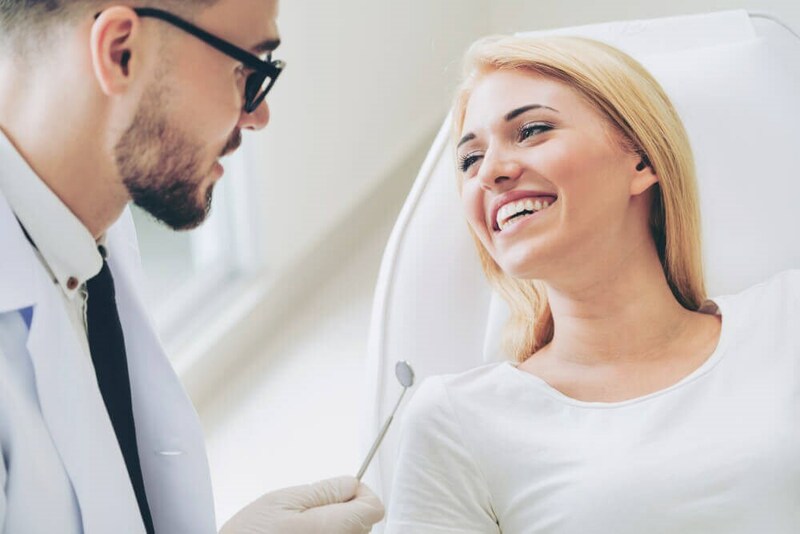 If your mouth is healthy, DentalWorks - High Point offers cosmetic dentistry to enhance the appearance of your smile with treatments like professional teeth whitening. Whether you have a cavity, gum disease, or another problem, your dentist will explain your treatment options. Once you have selected a treatment, your dentist will tell you when to schedule your procedure. Some issues, like a small cavity, can be added to your next appointment. However, if a problem is serious or causing you pain, an appointment will need to be scheduled as soon as possible. For lengthy procedures, your dentist will go over sedation options that will help keep you comfortable. It can be scary to go back to the dentist if you haven't been in a few years, but our compassionate team at DentalWorks - High Point will do everything they can to make you feel welcome and relaxed. Our dental office in High Point, NC uses modern techniques and state-of-the-art equipment for more efficient visits. If you're still nervous about going to the dentist, ask about sedation dentistry options to help with dental fears and anxieties.